So, what does a doula do, exactly? Frequently asked questions, doula edition. So you’ve heard the reports and seen the stats and you know that having a doula increases birth satisfaction, decreases interventions and is just the most awesome thing ever. But what does a doula do, exactly? Of course every labour is different and every woman has different needs and desires. Your doula will adapt to suit your specific requirements. She will provide emotional and physical support, guidance and unbiased information throughout the pregnancy and labour. She will make suggestions on books you might want to read, products you might find helpful and positions that will ease your pain. She will hold your hand, wipe your sweaty brow and tell you that you are awesome. But won’t my husband/partner do that? Maybe. Hopefully. But sometimes your husband/partner will be a bag of nerves. Sometimes they will freak out when you cry out. Sometimes they will shriek “Get the doctor in here now!” three hours too soon. Sometimes they will turn white and pass out. Your doula can reassure your partner that the noises you are making and the pains you are experiencing are normal, healthy and to be expected. She can help your partner get over their anxiety and suggest ways that they can comfort you physically. She can stay with you while your partner gets a snack or makes some phone calls. She can reassure you both that progress is being made and that there is no reason to be afraid. She can gently suggest that maybe sitting down now would be a good idea. She can hold your partner’s hand, wipe their sweaty brow and tell them that you are both awesome. But what, exactly, does a doula do? Your doula will arrive at the hospital or birthing place within 90 minutes of your phone call. She will immediately check out the space, draw curtains and close doors. She will make sure you are comfortable and not sitting in a puddle of your own amniotic fluid. She will find where the dry sheets and blankets are and make sure you have what you need. She will ask questions to find out how you are feeling and what has happened in her absence. And she will get you up on your feet and make you move around as much as possible. It’s good practice to shift positions every 30 to 45 minutes and your doula will keep her eye on the clock and make suggestions as to new positions to try. In the early stages of active labour your job is to find your rhythm and get your coping strategies in place, and your doula will help you do this. You may not even notice that’s what is going on, but your doula will notice what you naturally do during each contraction and will help you keep doing what is working for you. And if things start to change, your doula will try to help you get back on track, whether by trying a new position or motion or water therapy or whatever other tools she may have in her bag of tricks. Bag of tricks? Tell me more about this bag of tricks. Your doula will bring a bag to the hospital that is a bit different from what you bring. She will probably have a heating pad or magic bag which can be quite soothing – if you like heat on your stomach or back when you suffer from menstrual cramps you might also like it when you are in labour. Ice packs are also an option. Some doulas bring their own birth ball and some hospitals provide them. (Others refuse to allow them. Boo.) Some doulas use TENS machines. All doulas have training in comfort measures that include massage, counter pressure and light touch. Your doula will probably advice you in advance to provide your own music, pillows and light snacks. Think about the food and drinks you like when you are recovering from the flu. 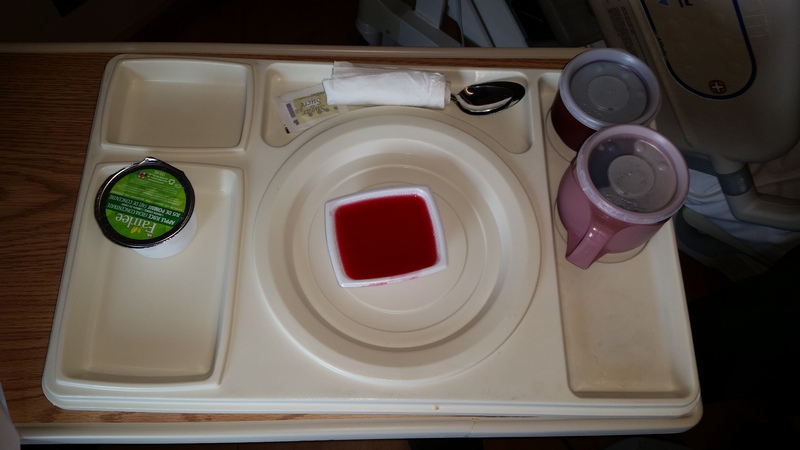 Some hospitals still refuse solid food to women in labour but will provide soup and jello and fruit juice. What if I just want an epidural, right now? In your prenatal visits you will have made a birth plan with your doula, and if your birth plan says “I want an epidural, right now” then your doula will support your choice to have that epidural, right now. If your birth plan says “I really don’t want to have an epidural” then your doula will gently remind you of your original plan, suggest a different position or hydro therapy or whatever but if you say “No, I don’t care, I want an epidural right now!” then your doula will support your choice to have that epidural, right now. Your doula is there to support you and your choices. What happens in the prenatal visits? You are likely to meet with your doula three times before you give birth. The first time is a free consultation session at which you will get to know her a little bit and decide if she’s the right doula for you. The second session will include birth planning and a little prenatal education. The third will most likely include breast feeding education, baby care and postnatal planning. By the end of these two sessions you should feel more confident and knowledgeable about the physiological process of childbirth and how you want to approach it, and you will have faith that your doula will support you in whatever choices you have to make along the way. How long will my doula stay with me? Your doula will stay 90 minutes to 2 hours after you give birth. She will make sure you have something to eat and drink. She can fetch any family members you have waiting down the hall, or shoo them away if you don’t want to see anyone yet. She will wait with you until your baby shows interest in breast feeding and help you get off to a good start. And when you are ready, she will leave and let you get on with the business of bonding with your baby. contact us here to book your free consultation! < Previous Why hire a doula? Next > My story, or: the long and winding road to Doulahood.